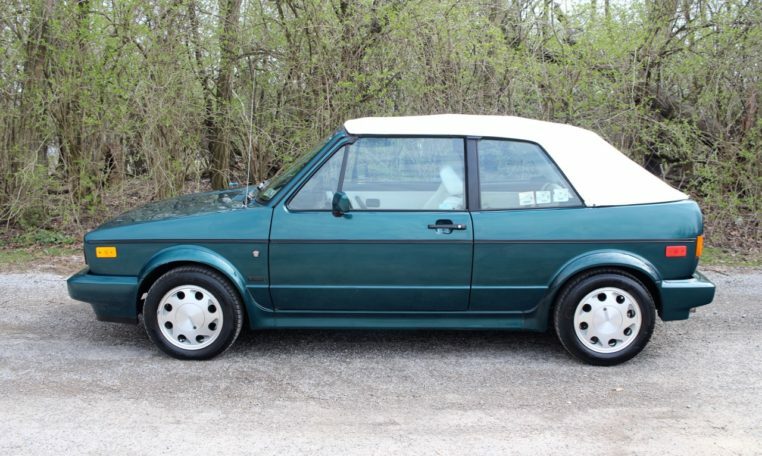 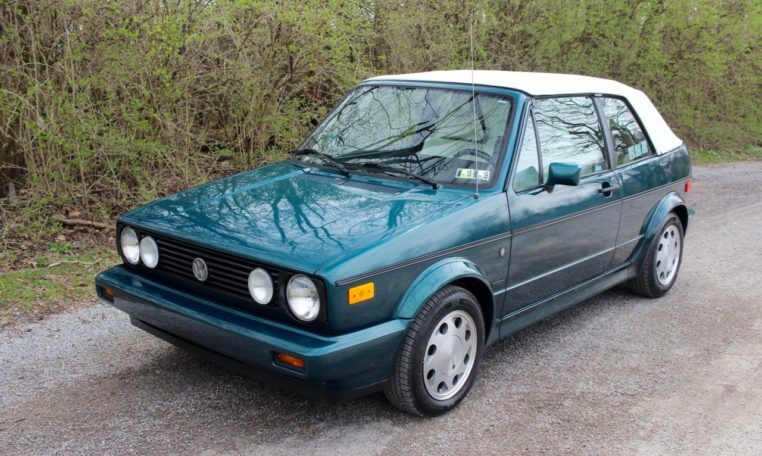 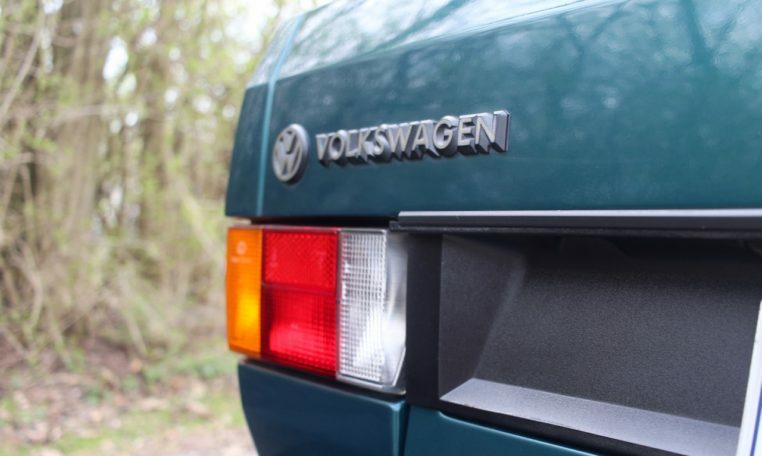 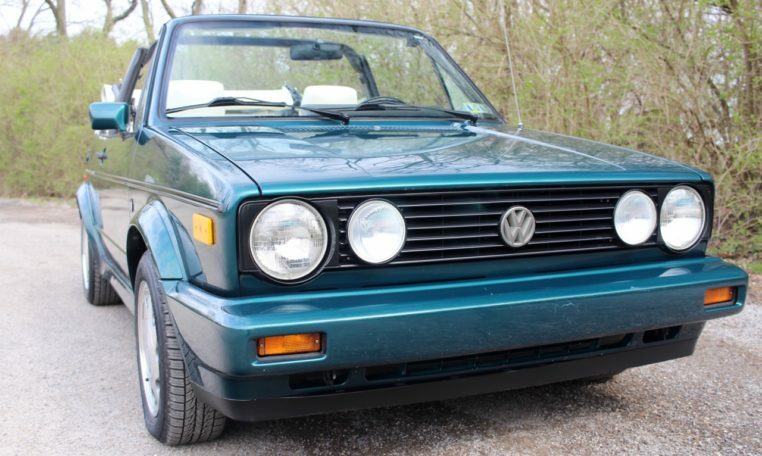 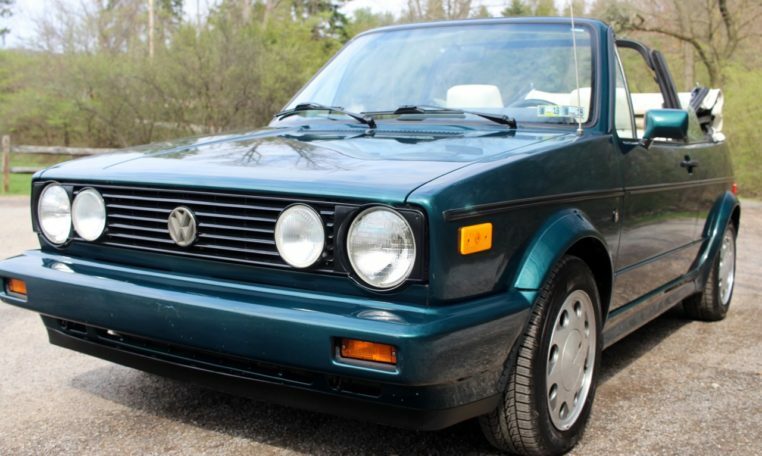 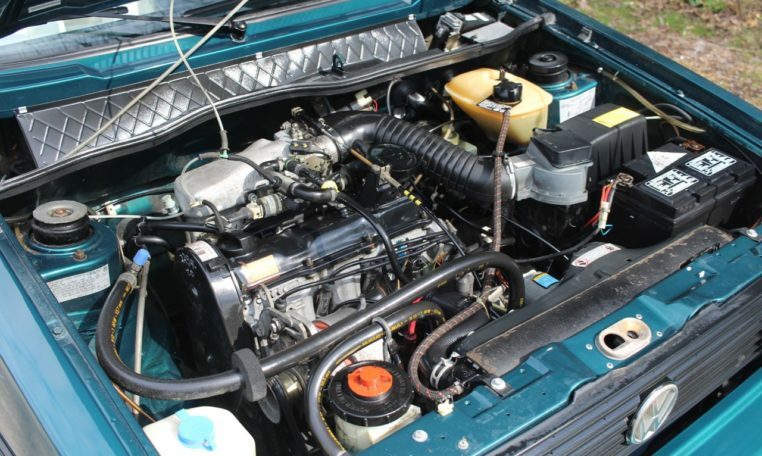 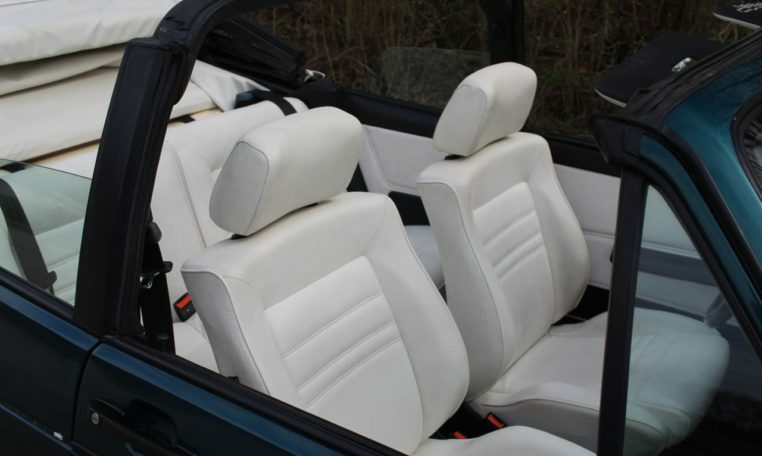 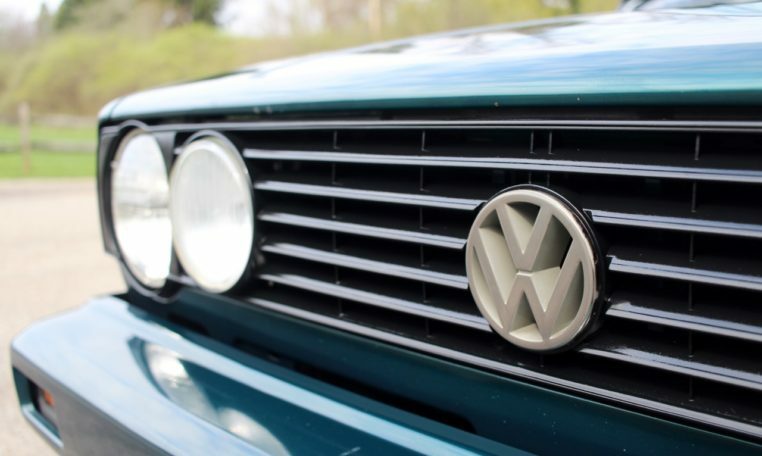 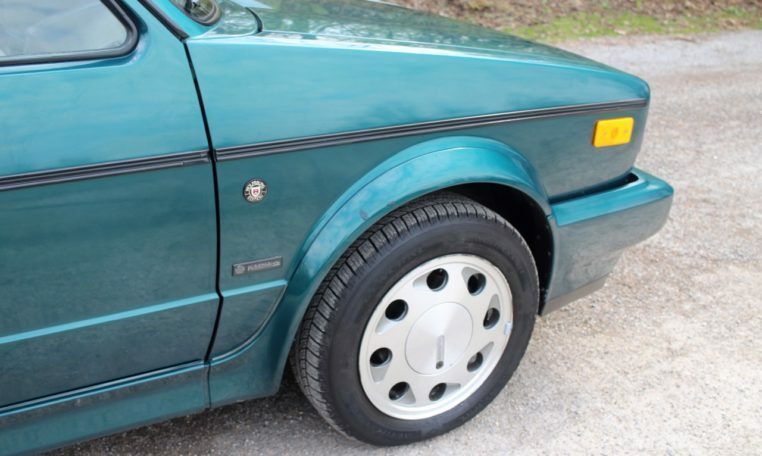 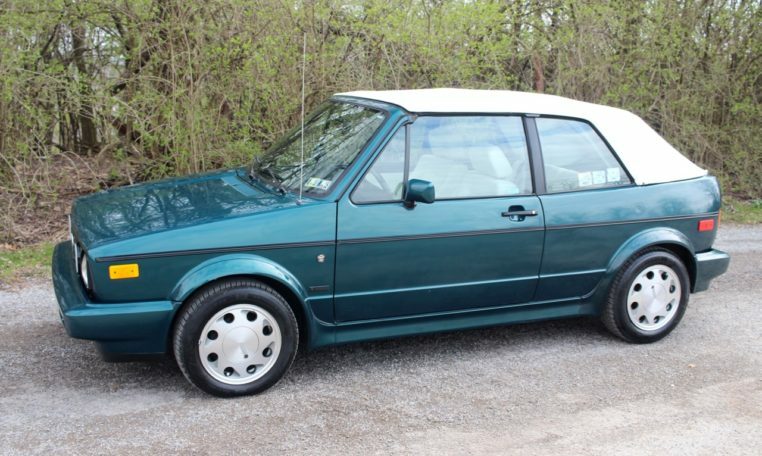 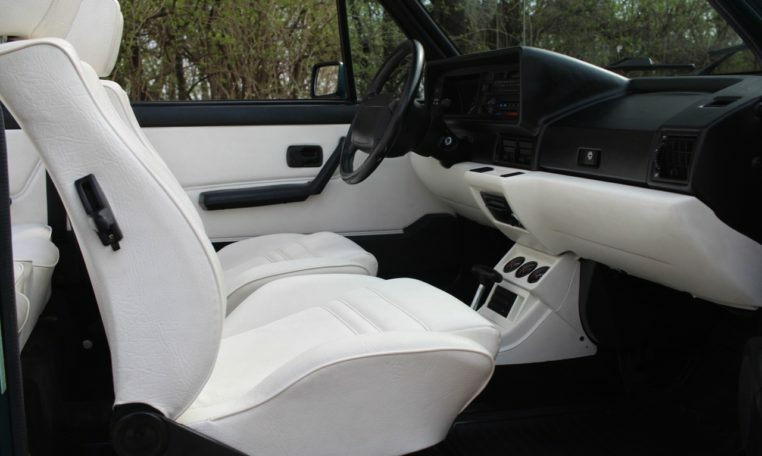 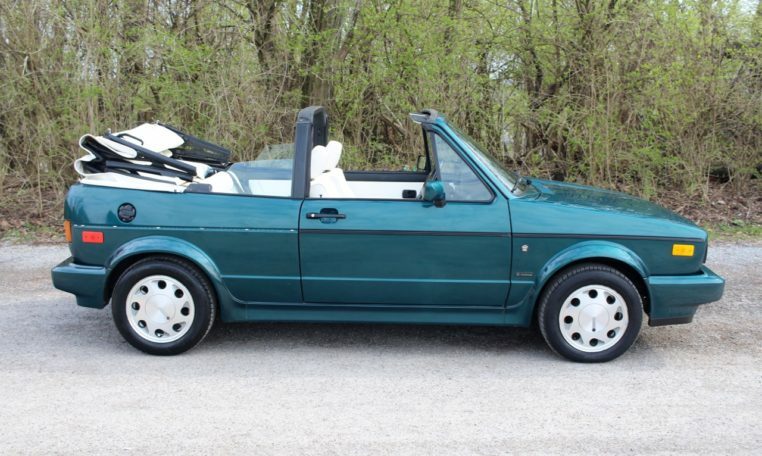 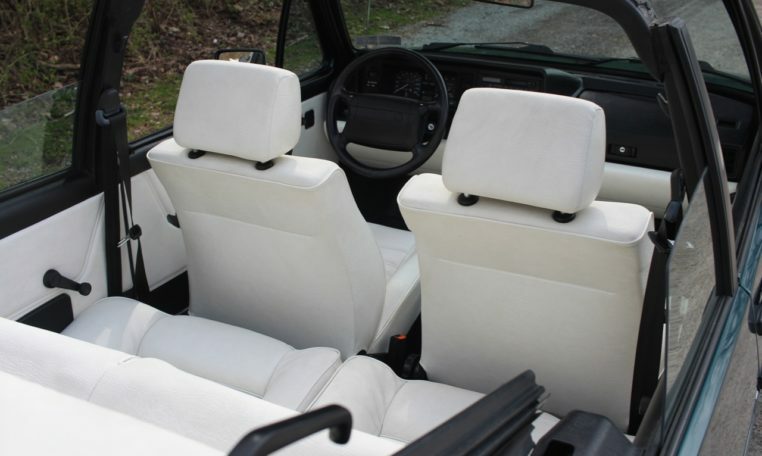 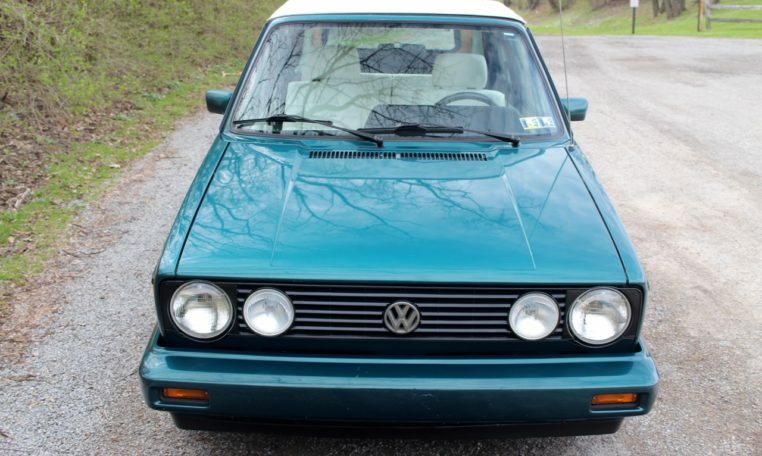 This Mark 2 Golf Cabriolet is a clean, two owner, low mileage example. 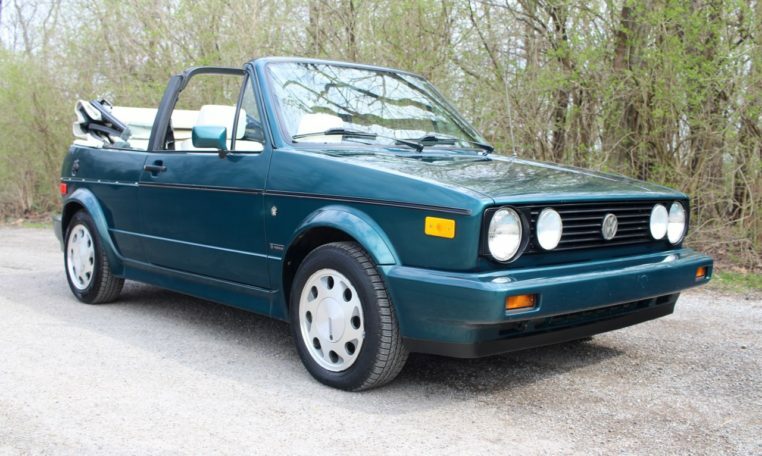 This Wolfsburg Edition Cabrio features the standard 1.8 liter 4 cylinder paired to a rare automatic transmission. 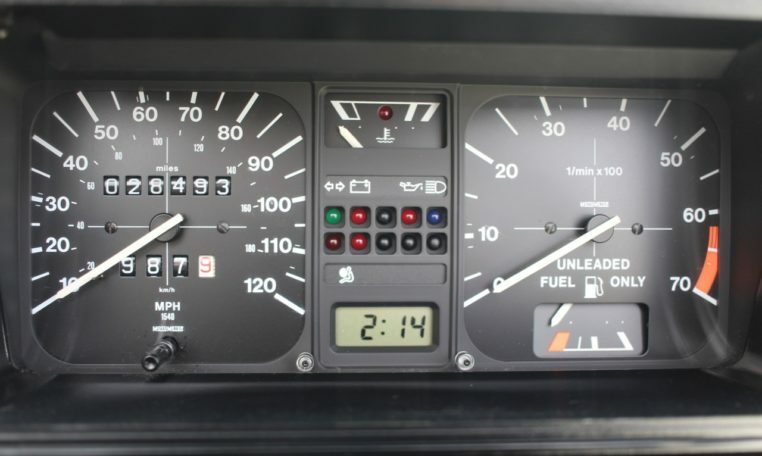 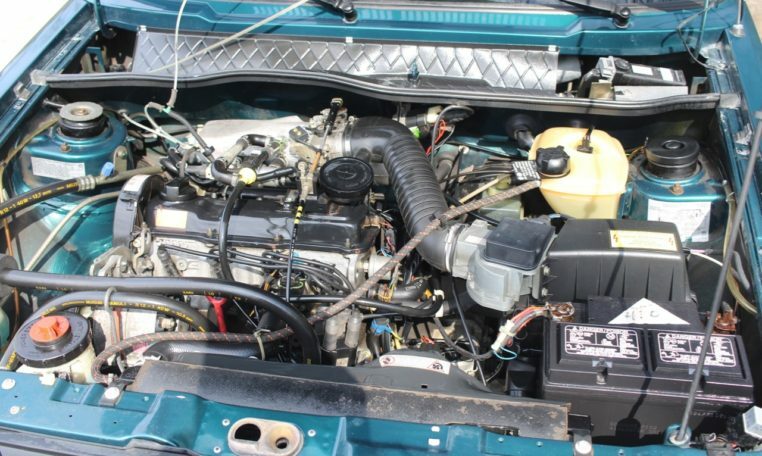 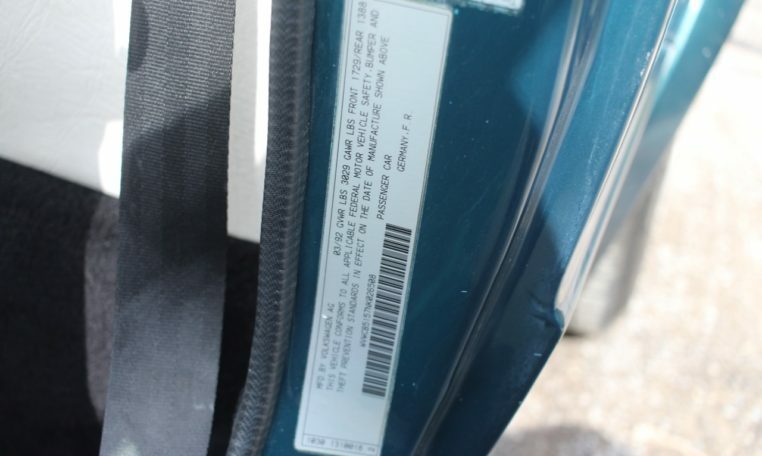 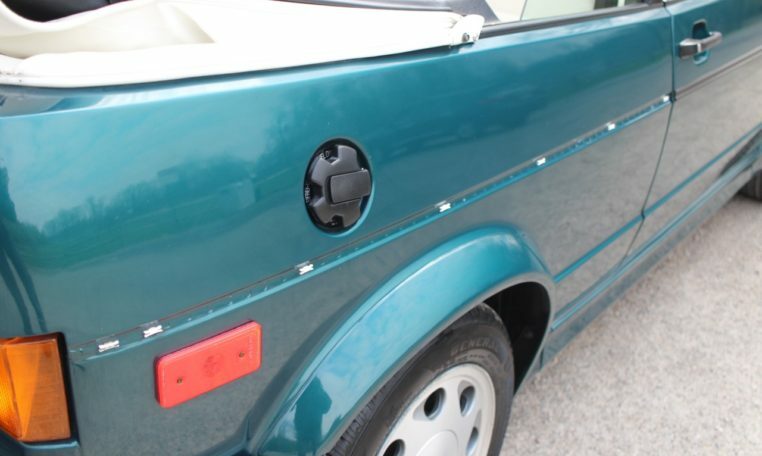 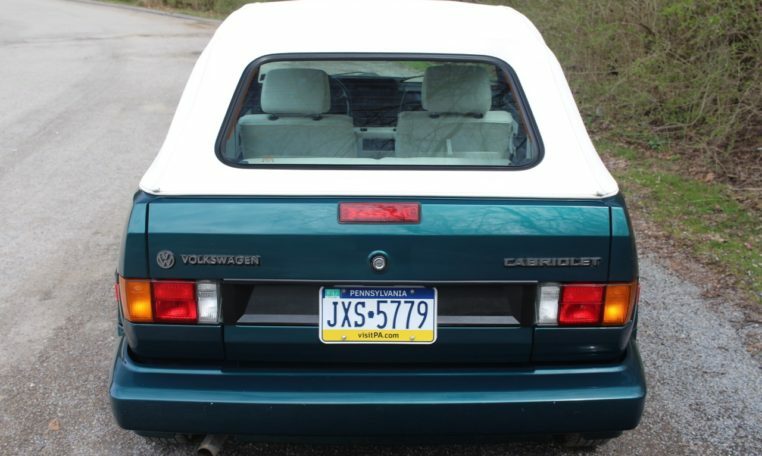 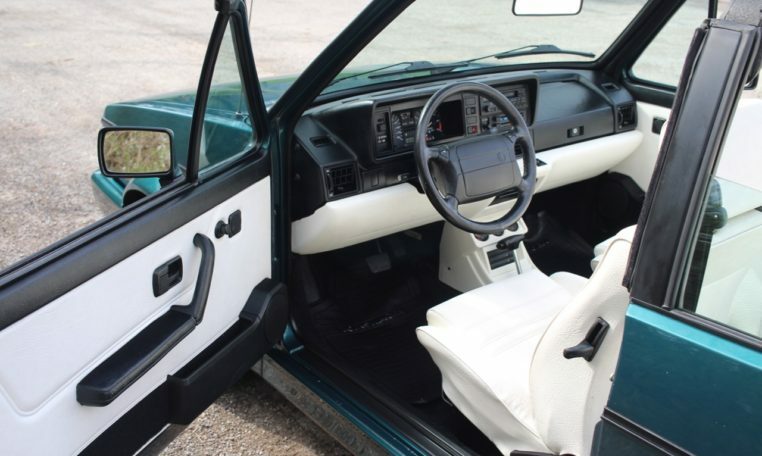 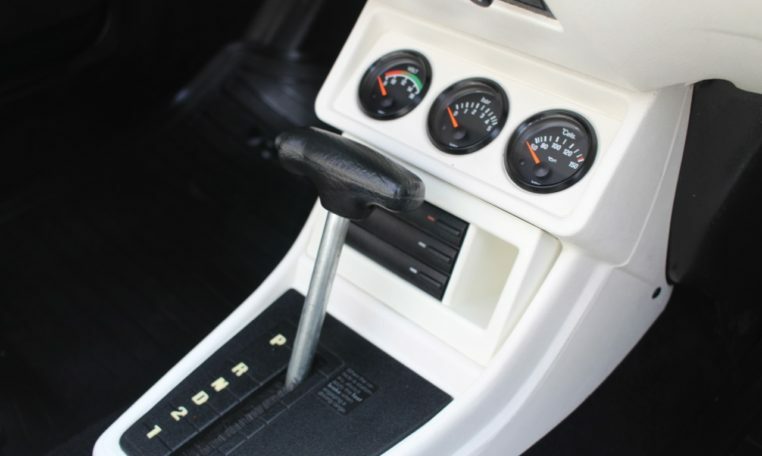 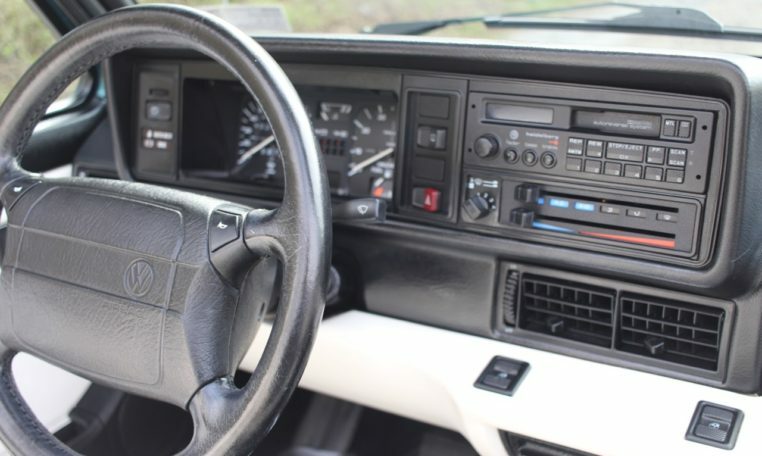 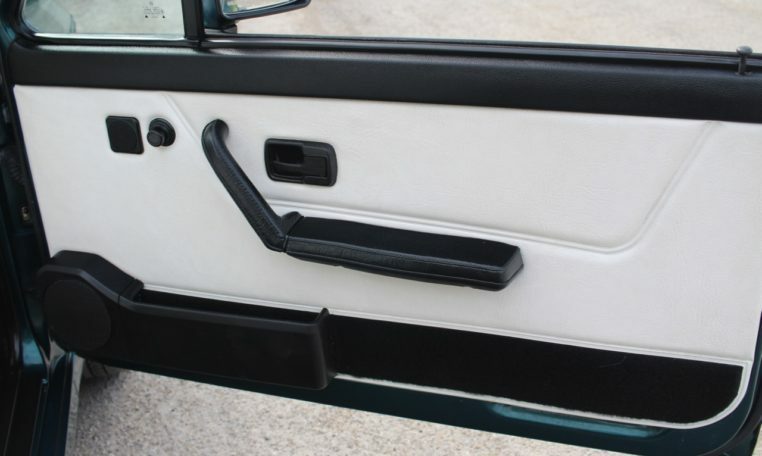 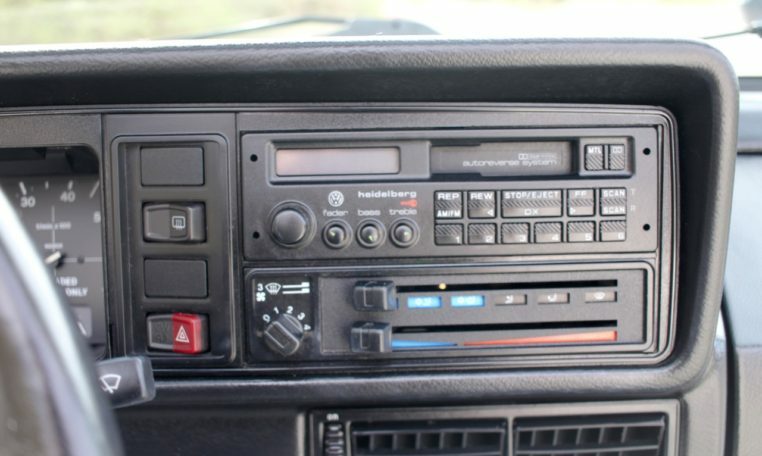 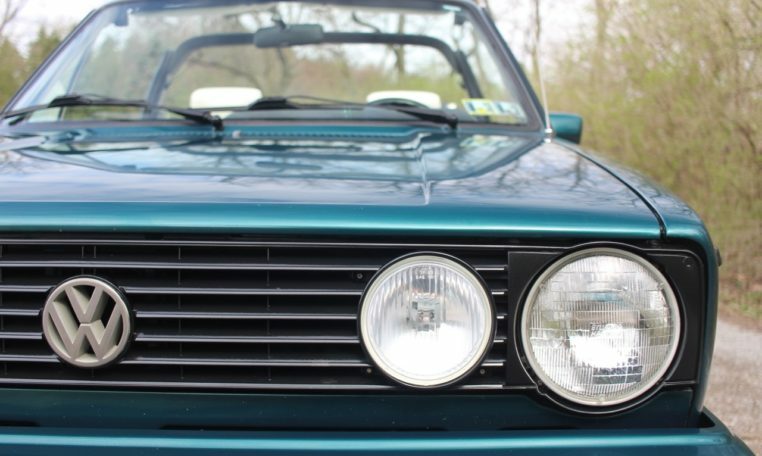 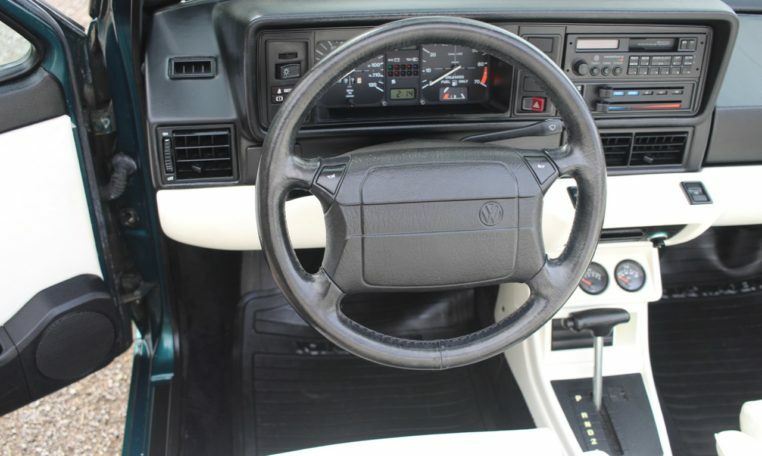 It was optioned with Dark Teal Metallic paint, white top, white interior, power windows, power steering, power brakes, and AM/FM/Cassette radio. 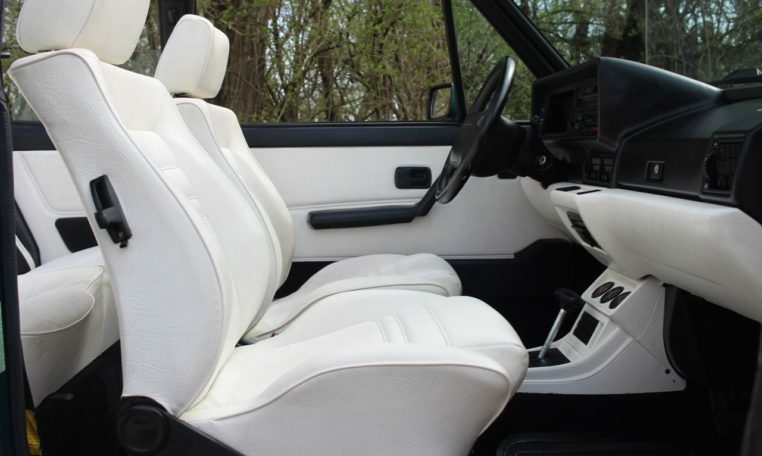 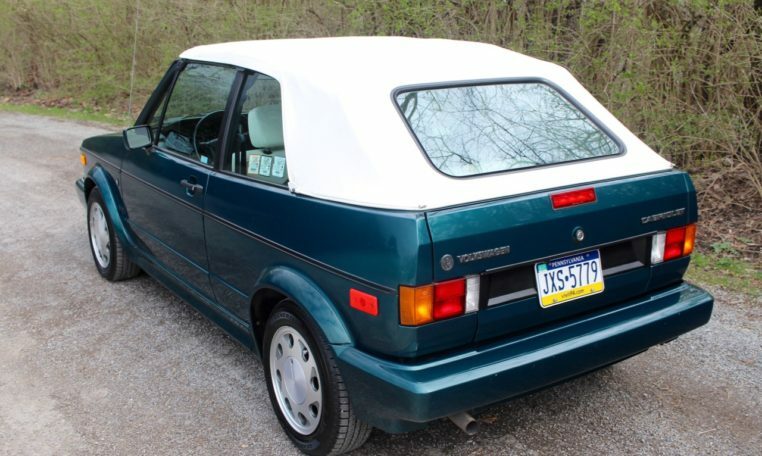 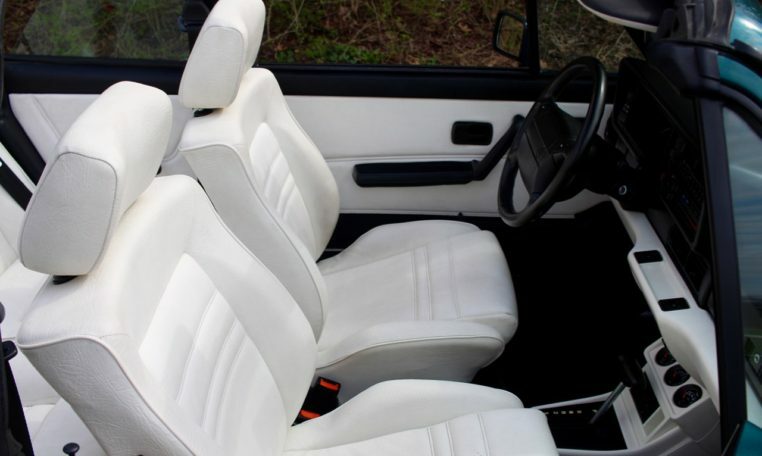 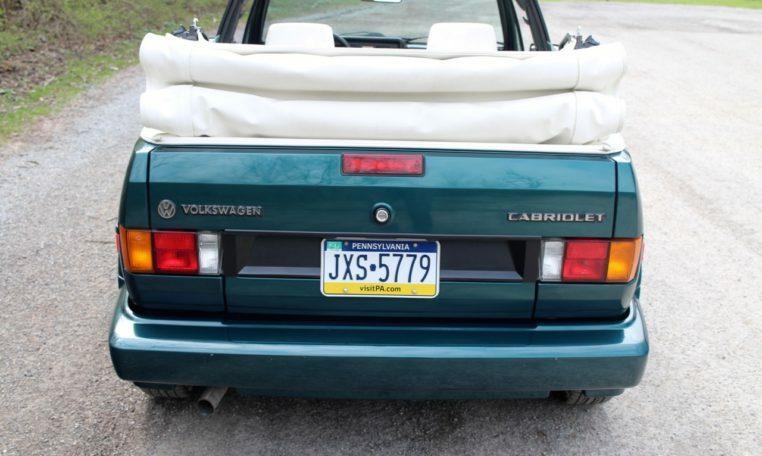 This Cabrio still wears it’s original paint, top, and interior. 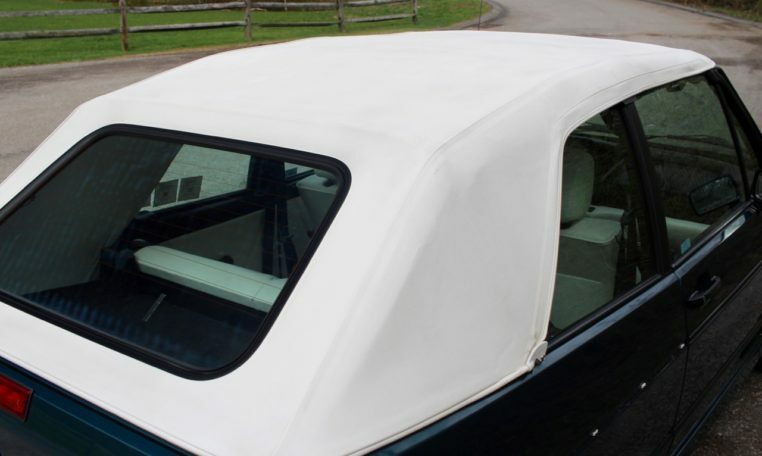 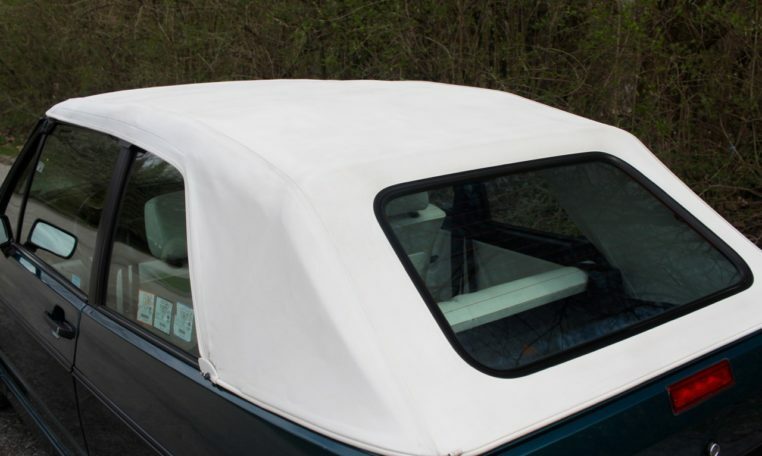 The paint and top are in excellent shape having been garaged most of its life. 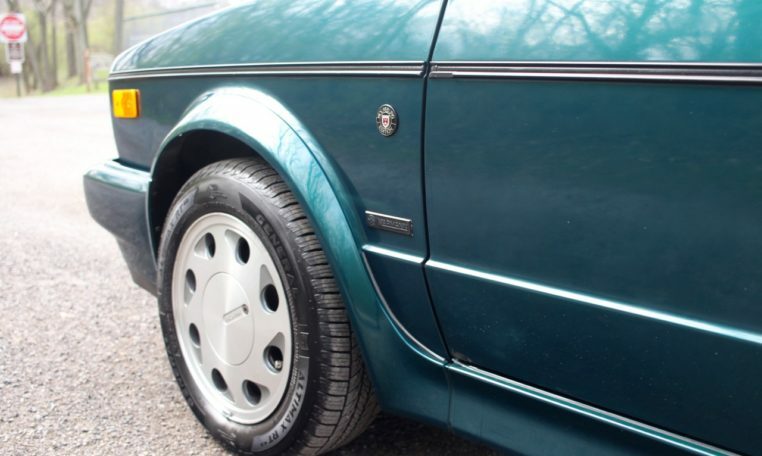 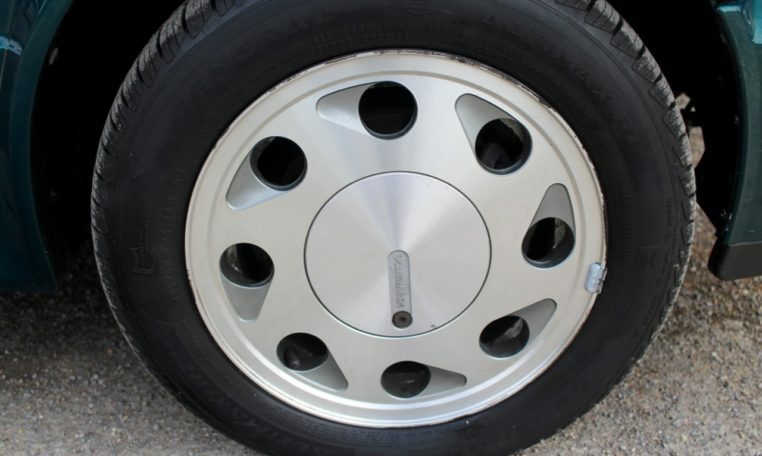 The only cosmetic issues are a missing piece of black trim on the passenger rear quarter, and the usual small blemishes you expect. 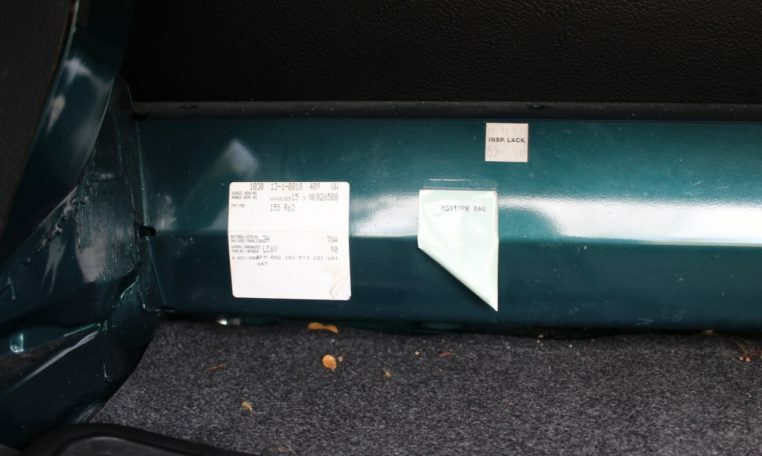 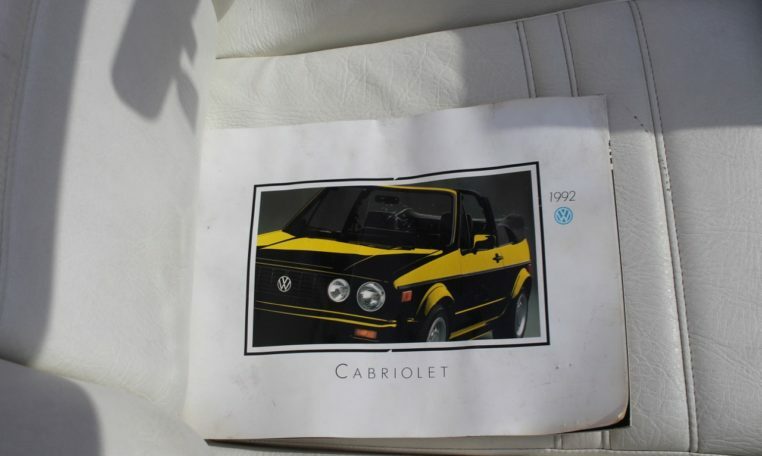 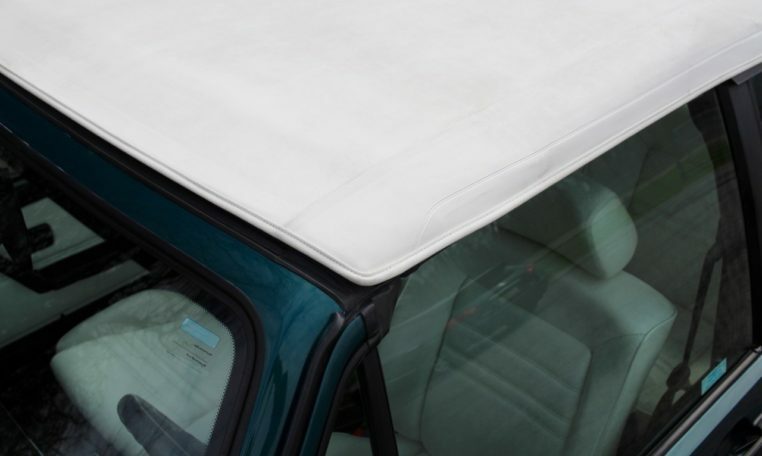 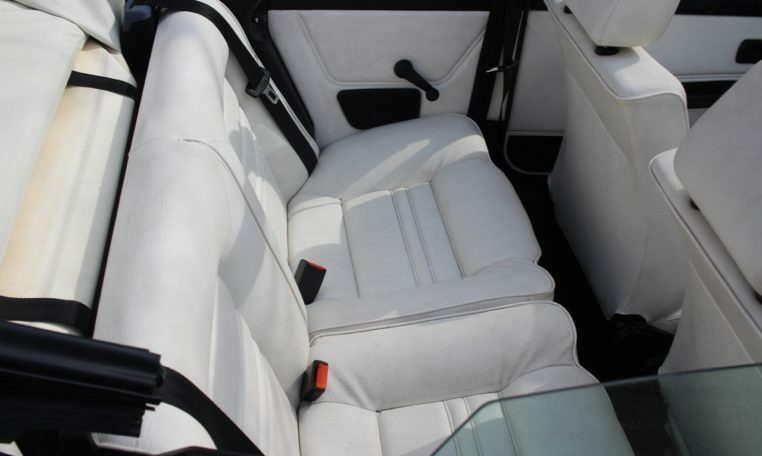 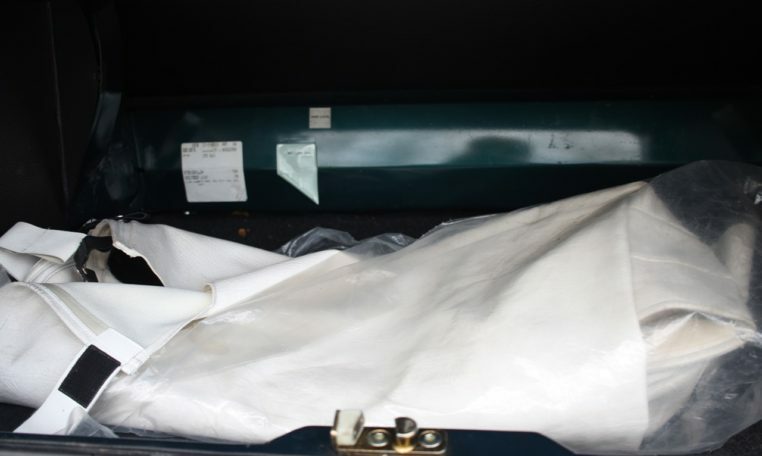 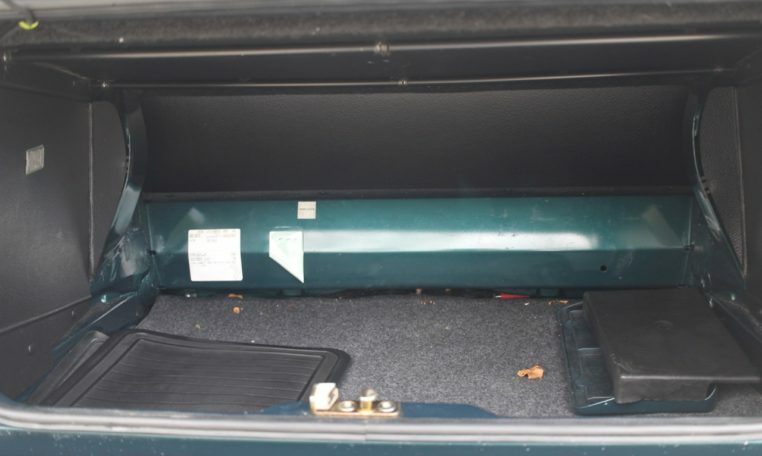 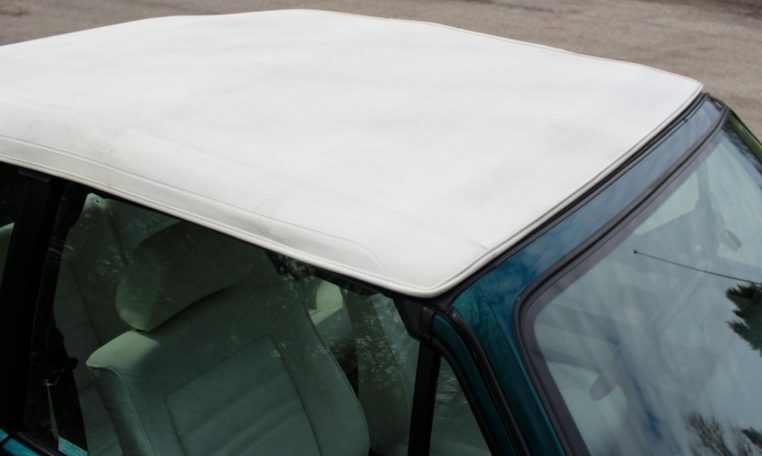 Included with the car is the original convertible boot cover, owner’s manual, and dealer brochure. 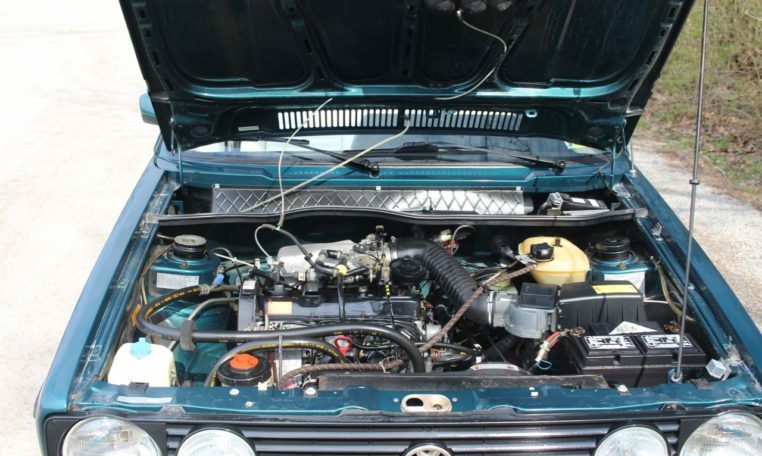 Mechanically, this Golf runs and drives very well. 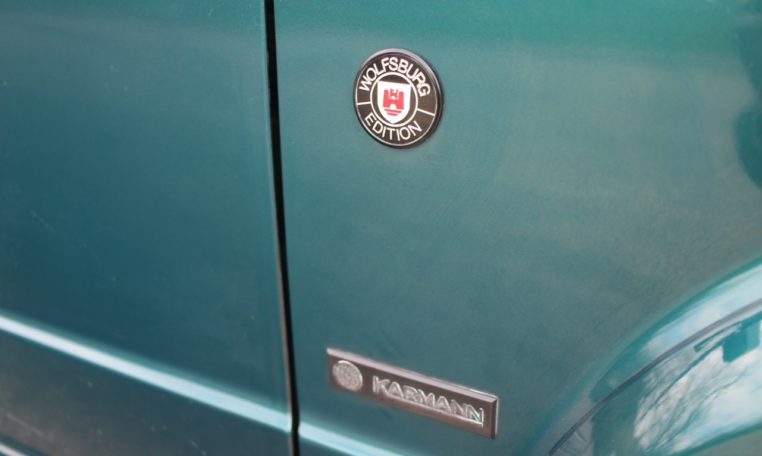 The 1.8 liter engine has plenty of power and torque and the rare automatic transmission makes for easy driving. 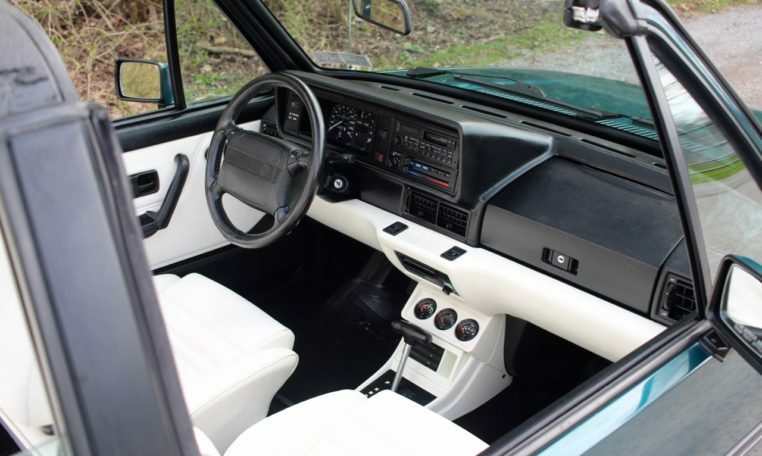 Handling is superb with good feedback and road feel. 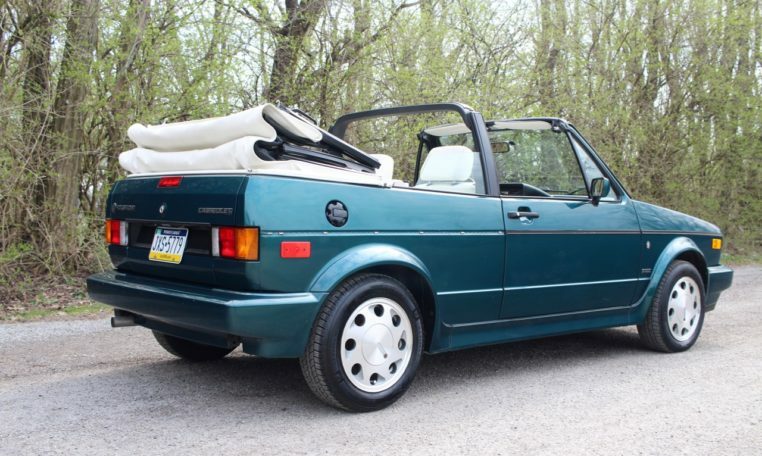 Reportedly the first owner only used this vehicle on summer days accounting for the low milage. 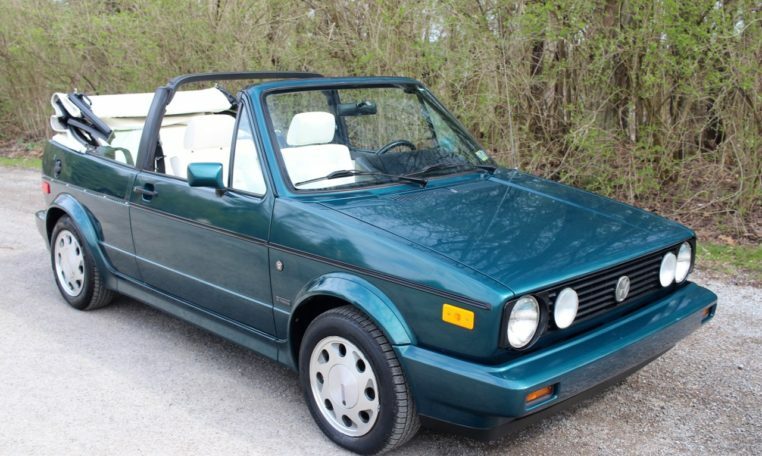 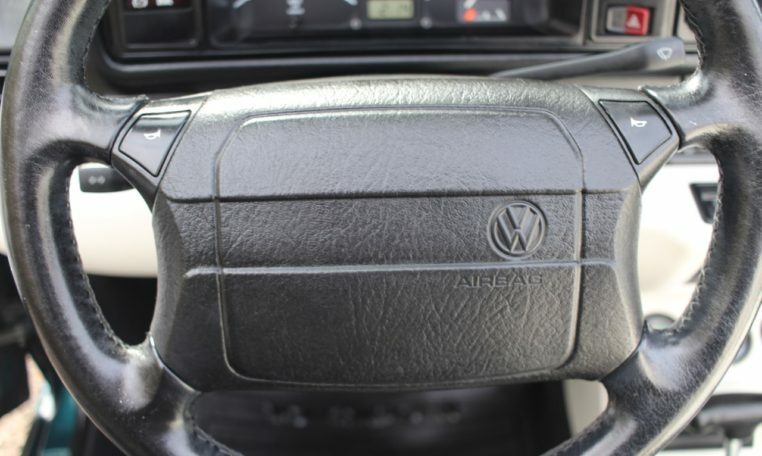 Please contact us with any questions about this low mileage VW Cabriolet.